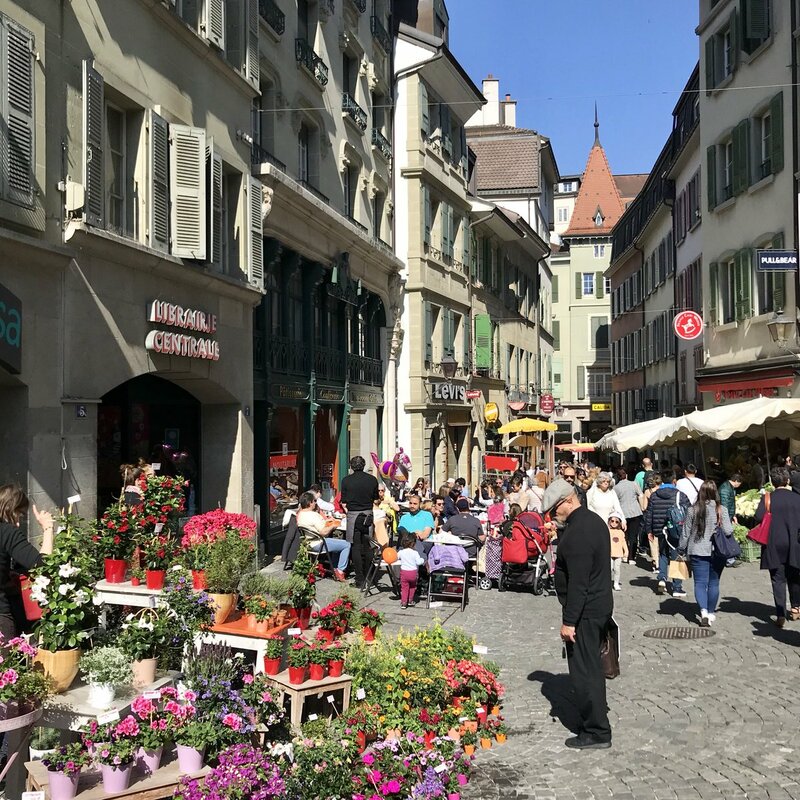 The goal of the My-Lausanne blog is to promulgate the Lausanne destination on the web by highlighting the experience of visitors and insiders within the town of Lausanne. This aims to promote the cultural, gastronomic, sports or other activities possible in Lausanne, as well as a certain way of life, to generate interest and inspiration for this destination, and to bring it to be considered as a destination to be visited. In parallel, the myLausanne blog aims to showcase local talent. My-Lausanne reserves the right to publish or not the content that is submitted to it according to the editorial strategy described above. The My-Lausanne blog is a participatory blog in which Lausanne Tourisme/MyLausanne mainly fulfils the role of content aggregator related to the Lausanne destination. Content may be edited by Lausanne Tourisme/MyLausanne; the My-Lausanne logo is then declared in the author’s profile. The MyLausanne blog belongs to Lausanne Tourisme, as does its logo and nominal identity subject to the conditions of use regarding property. 1- Rights to use the material supplied by bloggers and any other contributor. By sharing any contribution or content (including texts, photographs, graphs, videos, audios or any other kind of media content) with MyLausanne Blog, you agree to grant us, free of charge, the permission to use the article’s or post’s material on the Lausanne Tourisme/MyLausanne blog and social media. 2- MyLausanne/Lausanne Tourisme undertakes to insert the canonical url when the article is already published on the internet, so that the credits are granted to the author and to cite the source, make it accessible, as well as to create a profile for each author that includes: photo or avatar, written presentation of the author as well as his or her various social media. 3- By submitting your article or contribution to MyLausanne/Lausanne Tourisme, you confirm that your contribution is your own original work, that the comments are not defamatory and respect the laws of the country, that the content is suitable for all, without age limit and contains no aspect that is threatening, unconstitutional, vulgar, racist, pornographic, defamatory, offending, criminal, degrading or violating intellectual property rights and/or infringing trademark rights. In no event shall Lausanne Tourisme/MyLausanne be held liable by a third party in the case the contributor does not own the rights applying to the published content. By sending a message to blog@my-lausanne.com, the contributor electronically accepts the general terms and conditions in an unconditional manner. Lausanne Tourisme/MyLausanne reserves the right to publish or not the articles and posts received. Only changes related to spelling may be made without the author’s consent. Lausanne Tourisme/MyLausanne is not responsible for display modifications due to the integration tool. Therefore, Lausanne Tourisme/MyLausanne reserves the right, at its sole and absolute discretion, to publish or not any message or other content communicated by the user, to keep it online or to delete it at any time without having to inform the user before or after, and without that giving rise to any claims of any nature towards Lausanne Tourisme/MyLausanne. Visitors who use the myLausanne.com website and rely on the veracity of the information do so at their own risk. We are not responsible for the content or the reliability of other sites to which we offer a link. By using this site, you hereby waive any and all claims, past, present and future, against the owners, writers, contributors and administrators. These general terms and conditions are subject to Swiss law. In the event of a dispute, the Lausanne (Switzerland) courts have exclusive jurisdiction. My-Lausanne is a site developed by the agency WAX-Interactive for the organisation Lausanne-Tourisme. You can send us an email to provide us with the link to your article to be published at blog@my-lausanne.com. You may also send us your article with the raw elements (copy, images, links). We need to create your author’s profile, which will be visible to all (photo, name, presentation text (max. 300 characters), redirect link (to blog), social media links and, if you wish, a quote). The MyLausanne blog is a participatory site, which implies its contributors accept the free use of material linked to the content they have voluntarily provided by email to blog@my-lausanne.com on the MyLausanne blog and its social media. no alteration, transformation or translation of your article will be made without your prior consent. that your article that will be relayed on the blog will always include the name that you will have provided us with. that your blog will be mentioned in the article’s sources and in the blog contributors’ profiles. that you preserve your referencing with the systematic addition of a canonical tag for each article already online that you accept to share with us. that your article will benefit from additional visibility thanks to the MyLausanne blog’s relay on our social media (Fb: 60,000, Twitter: 8,000, Instagram 5,000) in online campaigns in international markets and on the Lausanne Tourisme website. 1- Top image – required, 2560×1440 px min. 4- Teaser (tagline that will be the element appearing on the home page if the article is displayed there): 130 characters max. 5- Subtitles: the copy must be structured in several blocks to make the reading easier. It is advised to illustrate each block of content with a photo. Teaser: required (tagline that will be the element appearing on the home page if the article is displayed there) 130 characters max. Regarding videos: to be able to publish a video on the MyLausanne blog, it must be on YouTube or Vimeo. You therefore need to send the YouTube or Vimeo link. If only the video file is sent, the author accepts that the video is hosted on Lausanne Tourisme’s YouTube channel, blog section, so that it can then be integrated in the MyLausanne blog. Every contribution is linked to an author. An article or post can only be published if it’s associated with an author who has a profile. The elements necessary to create the profile must therefore be provided. By providing us with this data, you accept that it is published and displayed on the MyLausanne blog.